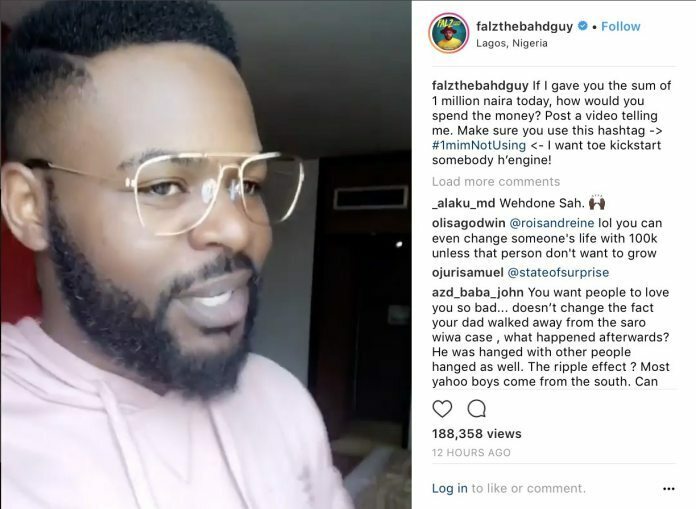 Rapper, comedian and actor Falz is giving back to the society and we’re here for it. Sharing on his Instagram page Sunday evening, Falz called on Nigerian youth to tell him how they’ll spend one million Naira if he hands it to them. He wants to reward innovation, creativity, and ingenuity, he said, adding that a vast majority of he youth in Nigeria are creative, and have bright ideas. Record a video, post it with the hashtag #1mImNotUsing and you just might be the lucky winner.